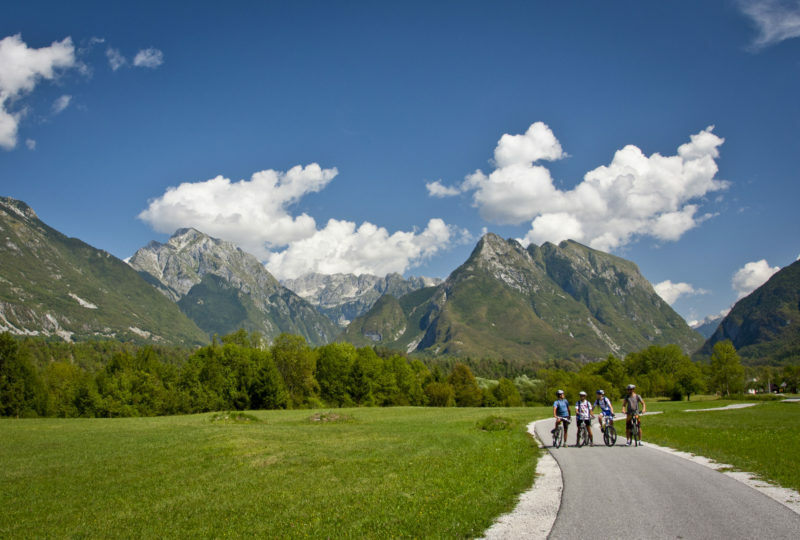 The best of Alpe Adria cycling - 9 days tour from Salzburg to Venice! 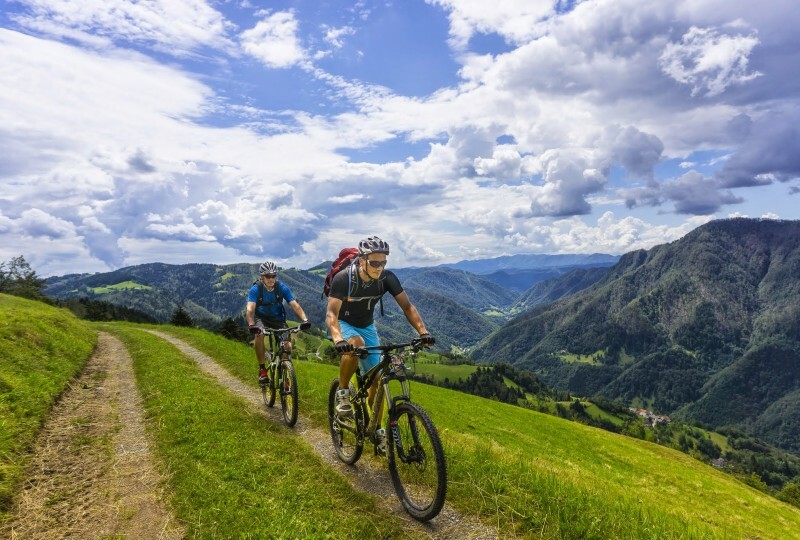 The cycling tour between two iconic places comes with a hard task, which is to beat the outstanding experience of the charming Salzburg and that of the magical Venice. Luckily, the answer for an outdoor enthusiasts is pretty obvious – plenty of fresh air, unspoiled nature, magnificent sights, an occasional attraction and tasty local food combined with warm hospitality; there is plenty of everything to experience on the 9-day tour. Cycling through two Austrian regions, i.e. the states of Salzburg and Carinthia, which extend along two rivers featuring two completely different characters, and also among the magnificent Alpine peaks, then relaxing in a spa (Bad) in the Gastein valley before crossing the mountain barrier in a train and reaching the Austrian border at the city of Villach, which albeit being located at the foot of the Alps shows the Mediterranean spirit, is a worthy experience. 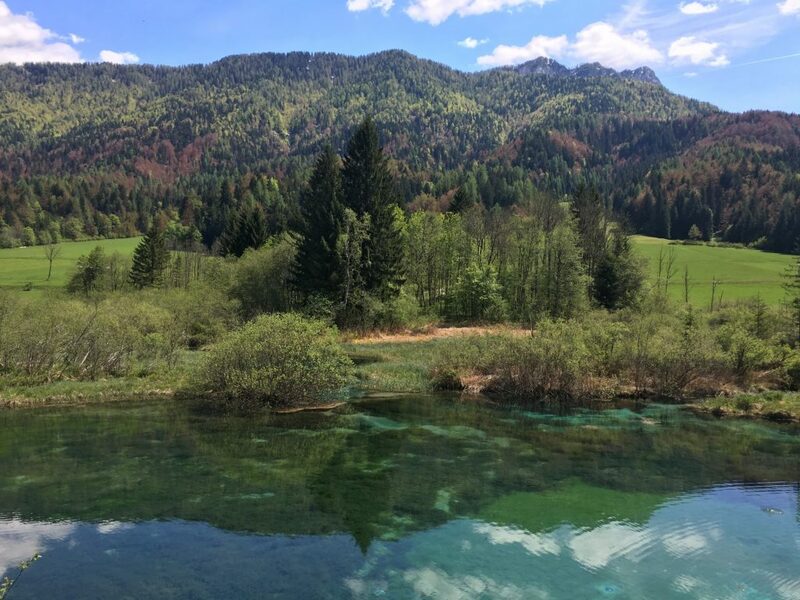 What follows is a quick visit to Tarvisio in Italy only to turn back to the Slovenian Alpine village of Kranjska gora located in the area surrounding the Julian Alps, which feature somewhat lower peaks but are of no lesser beauty. The Fusine lakes just before the Slovenian border, as well as the emerald green waters of the Zelenci nature reserve (the word “zelenci” reads as “greens” in Slovenian) just a few kilometres apart indicate a change in the pace of the tour. 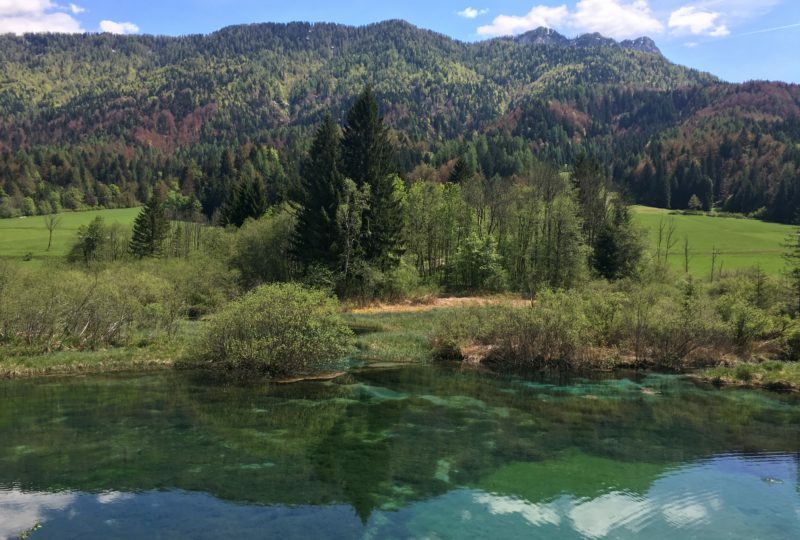 Running from Kranjska gora to the valley of Radovna, which is one of the most beautiful Alpine valleys, the tour reaches a Slovenian gem – the famous Lake Bled. Another train ride following the scenic Bohinj railway takes the group out of the Alpine region into the lower Soča valley, a European Destination of Excellence. The cycling starts again in the lovely town of Kanal with the path running along the emerald Soča river, which is considered one of the most beautiful rivers in Europe. It is a smooth transition to the Mediterranean climate. In the Tuscany-like landscape of Goriška brda/Collio, which is covered with vineyards and orchards, one can already feel the sea breeze, the tour leaving the mountains, which remain to be seen only on the horizon. Home to many world-famous wine growers and known by excellent food, this area is the best overture to paying a visit to the Italian region of Friuli-Venezia Giulia. The terrain is quite flat here, so the last days of cycling include easy cruising among the historic towns, fishing villages and nature parks until reaching Lido di Jesolo, a 15 kilometres long beach, which makes up the Venezian Lagoon. The iconic destination is here to be explored. The toor is suitable for e-bikes and can be arranged also in the opposite direction, from Venice to Salzburg. The first leg starts at the centre of the magical old city of Salzburg and carries on with a leisurely ride southwards, along the Salzach river and finally to the Salzburg’s Limestone Alps. The final destination of the first day is the town of Bischofshofen. Embraced by the most beautiful mountain scenery, Bischofshofen is the world-famous venue of the annual Four Hills Tournament finals. The path passes numerous natural monuments, high rock faces, impressive gorges and man-made landmarks. There are so many that one might consider a slower pace to reach Venice just to be able to soak in the rich cultural and natural heritage. 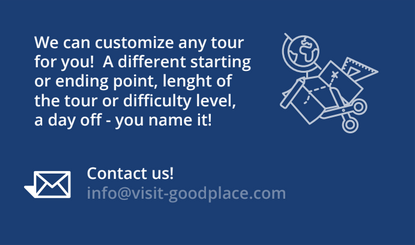 In that case, we would be glad to prepare a customised tour. The first day is packed with attractions. Glasenbachklamm, the canyon-like valley, is located right at the gateway to the city of Salzburg. The gorge became famous for the discovered fossilised remains. The outstanding reputation of beer brewed by Bräustübl Kaltenhausen is due to the countless travellers who have stopped by over the centuries and spread the word. Those who already miss Christmas can stop at the Silent Night Museum in Hallein, where original manuscripts and documents attest to the creation of world’s most famous Christmas song – Silent Night! Holy Night. Salt is a big deal in Salzburg, as the city features the world’s oldest salt mine – Bad Dürrenberg. The Salzach river cut its way through the northern Limestone Alps and created a gorge known as Salzachöfenor (or alternatively Salzachklamm). The route leads along and above the gorge to Pass Lueg. Just before reaching the final destination there are two more attractions to visit – world’s largest ice cave, called Eisriesenwelt , and the Hohenwerfen castle, which sits proudly at the top of a rocky, 113 metres high dome. In Werfen there is something else also reaching up to the sky – the Obauer Restaurant, which one of the best in Austria. On the second day, the route initially leads to Schwarzach through reservoirs along the middle Salzach river and then takes a climb only to enter the Gastein valley later on. The final destination for the day is the town of Bad Gastein, a beautiful place featuring the Gastein Waterfall at its very centre. The mountains of the Salzburg Alps are constant companions of the tour. In the Gastein valley, the glaciated peaks of the Hohe Tauern mountains can be seen, while other points of interest mainly include various thermal spas, namely those in Dorfgastein, Bad Hofgastein and Bad Gastein. Entrische Kirche, the largest natural cave in Salzburg’s Central Alps, is a natural monument and a “place of natural power”. At the end of the Gastein valley, the bikers hop on the train for a short ride through the tunnel under the Alps (Tauernschleuse). 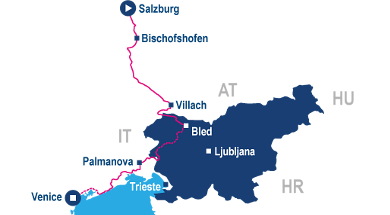 After that, the route continues through the Carinthia region on the southern side of the Alps. The tour takes the group through the Lower Mölltal valley, which is nestled amidst some 3000-meter mountain peaks. The outstanding attractions and rewarding stopping points await on the way, including the wonderful adventurous gorge called Groppensteinschlucht along the Mallnitzbach , the Obervellach town centre , the Falkenstein castle, and the Barbarossa canyon. At the county seat of Spittal, one can find a beautiful renaissance castle by the name of Porcia, which was built in the 16th century in the Italian palazzo style and is sometimes described as the most beautiful Renaissance building north of the Alps. From Spittal, the tour runs along the Drau Bike Path, which is well developed and clearly marked. For most of this stage, the group will ride along the right river bank. Many highlights can be seen on the way, mainly those interesting to history enthusiasts and nature lovers, such as the excavations of an early Christian church outside Molzbichl in the lower Drautal valley. The Carantana museum, church, and archaeological open-air exhibition ground form a remarkable ensemble, which gives the visitor an impressive and striking insight into the Early Middle Ages. The tour mostly follows the river Gail along the southern side of Mt Dobratsch, with a good part of the route running through the Dobratsch nature park . Cycling through small villages, the tour gradually approaches the Italian border, finally crossing it at Thörl-Maglern. The beautiful, unique Gothic frescoes inside the Church of Saint Andreas are extremely interesting in terms of the crucifixion symbolism. Following an abandoned railway line just a few kilometres beyond the border, the tour reaches the town of Tarvisio, one of Friuli Venezia Giulia’s most important ski areas and mountain resorts. Surrounded by the Julian Alps and rich in wide valleys and woods, the town has a modern look yet an ancient soul, full of traditions that are well worth discovering. . However, there will be enough opportunity to enjoy Italy at the end of the tour, which now turns towards Slovenia. 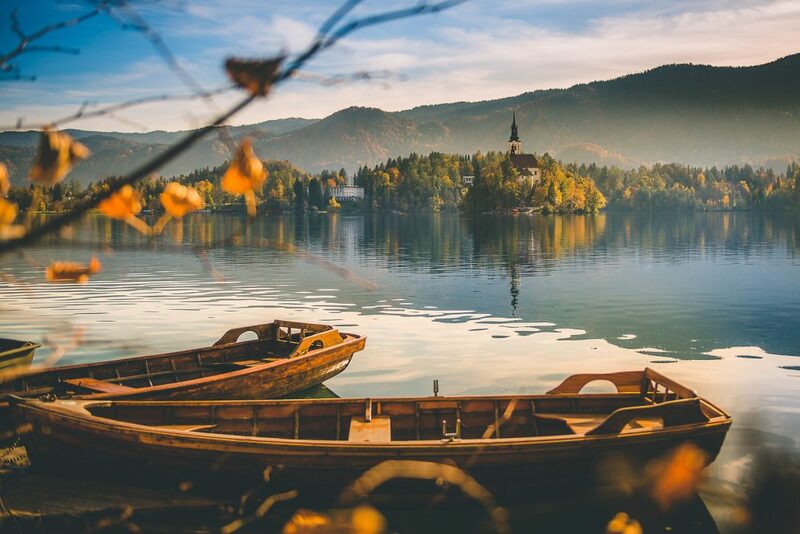 On the sixth day, the tour heads on to Lake Bled, the most famous tourist attraction in Slovenia. 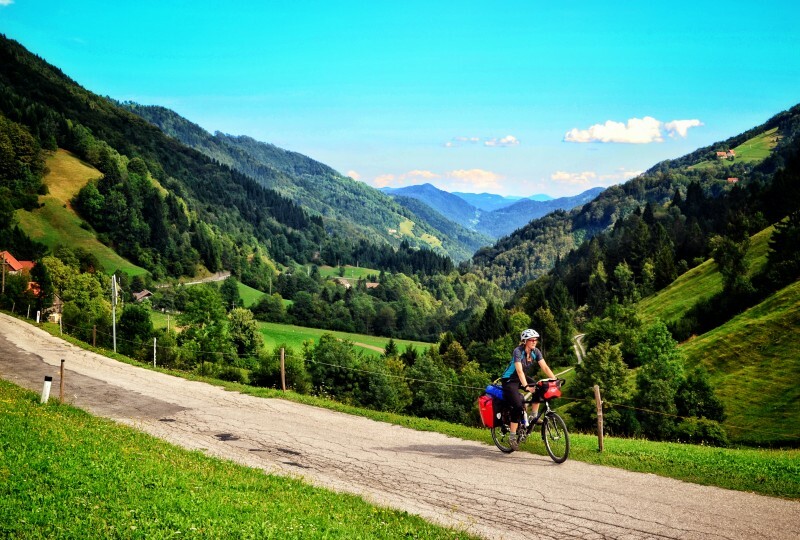 From Kranjska gora, a pleasant cycling road leads to another alpine village of Mojstrana, where the tour enters what is arguably one of the most beautiful alpine valleys in Slovenia, the Radovna river valley. Since the area is part of the Triglav National Park, mass tourism is partially limited here. The valley is very popular due to its beautiful unspoiled nature, with one of the most imposing parts being the 1.6 kilometres long Vintgar gorge. Reaching the final destination of the day, it would be a pity not to visit the famous island in the middle of Lake Bled, featuring a church, or taste the famous Bled cake. One of the most beautiful views of the lake opens from the railway station located just above it, where the tour takes a train again to travel from the heart of the Alps to the warm Mediterranean area of the Central Soča valley. The Bohinj railway, which connects Jesenice in Slovenia with Trieste in Italy, was built from 1900 to 1906, during the Austria-Hungary era, as part of a then new strategic railway called Neue Alpenbahnen, to connect the western part of Austria as well as that of the southern Germany with the then Austro-Hungarian port of Trieste. The scenic ride, which features numerous views of gorges and plains, runs through multiple tunnels, the longest one being over 6 kilometres long. The tour disembarks the train in Kanal, a mediaeval town with a rich cultural heritage situated on the two banks of the Soča river, which are linked by a bridge. The Soča, which has a distinct emerald green colour and is considered one of the most beautiful rivers in Europe, is at its most beautiful in the gorge below the town. The Soča valley is the first destination in Slovenia to earn the title of the European Destination of Excellence (EDEN), due to its sustainable development in tourism. The responsible approach is also reflected in the cycling trail arranged along the river and the railway routed along the accumulation lake and running all the way to the Solkan bridge, which offers a view of Mt Sveta Gora. The tour passes the old railroad bridge featuring the largest stone arch in the world. Goriška brda/Collio is a single landscape divided between two countries, a land of gentle, rolling hills covered in orchards and vineyards and dotted with small, secluded villages reminding of Tuscany. The wine growers here are famous across the world for their high quality wine and hospitality. Needless to say, wine tasting is inevitable here and as far as food is concerned – well, the area is very close to Italy, which says it all. The village of Medana, the final destination of the day, is home to some of the most prominent wine growers. The last day is all about the Adriatic coast. Starting in Latisana, the tour passes a small town of Castello di Brussa featuring a castle, crosses the Livenza river and reaches the town of Caorle with a pretty and colourful historic centre and fascinating fishing traditions. After that, the area is packed with beaches, small fishing settlements turned into tourist hubs and other tourist facilities, such as Pra ‘delle Torri Golf Caorle, Foresteria Golf Dlub Jesolo, Aqualandia and many more. This area is known as Lido di Jesolo, a 15 kilometres long beach that closes the Venezia Lagoon from the south, ending just across the famous Lido and the city of Venezia. 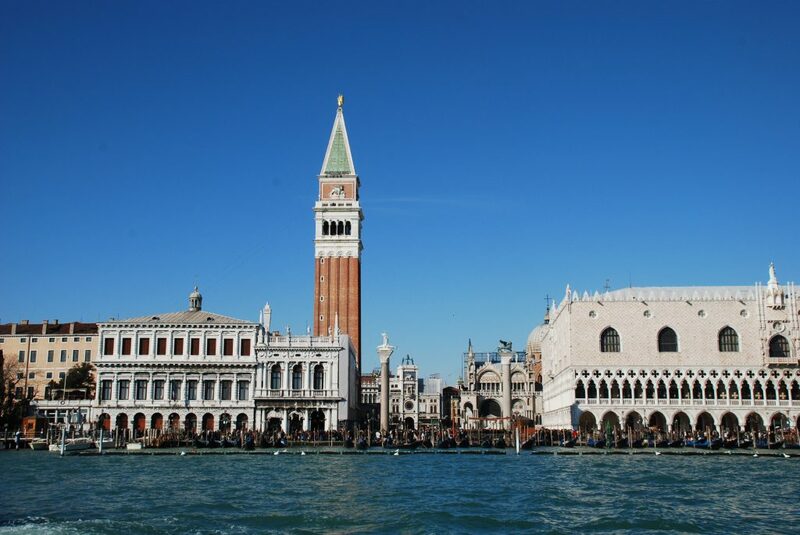 The lively in-lagoon traffic gives a special feel to the area, offering many opportunities to reach the city of Venezia and other famous attractions in the lagoon. This location is where the tour ends, which provides ample time to taste local food and wine or enjoy a swim in the sea. 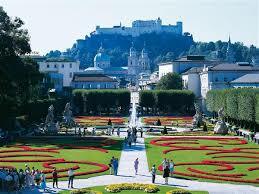 The adventure starts at the city of Salzburg in Austria and ends in Lido di Jesolo in the vicinity of Venice. Salzburg has its own international airport. The airport is located 4 km from the city center and has its own motorway exit. It lies centrally on the A10 north-south and A1 east-west motorway junction. Public buses go at regular intervals (10-20 minutes) between Salzburg Airport, Salzburg main railway station and the city centre. A taxi stand can be found both directly in front of Salzburg main railway station and the airport terminal. Munich airport is only 145 km away from Salzburg. .